If you have ever had a desire to build your own PC from scratch, the biggest hurdle to overcome is the choice of motherboard; for a beginner there is a bewildering array of sizes, chipsets and manufacturers. Where should you start? Perhaps an easier route to self build nirvana is to use a barebones system. 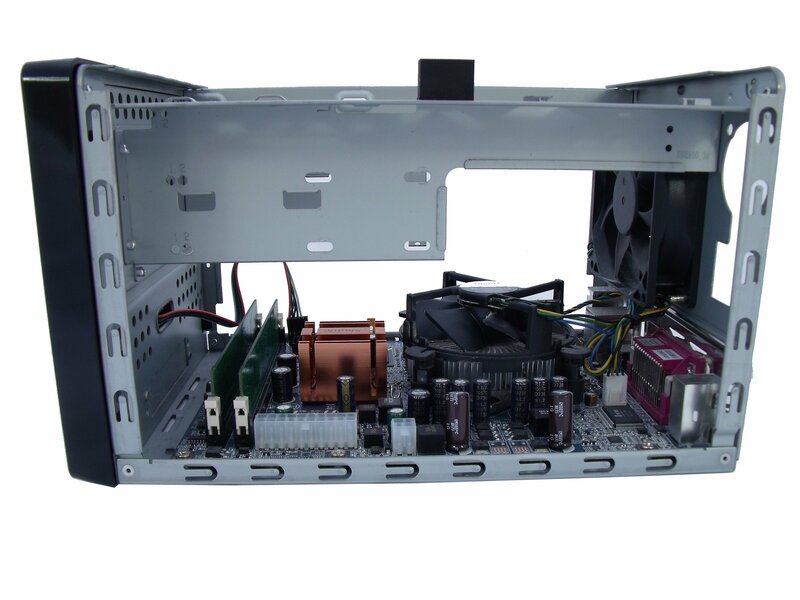 In case you are unsure, a barebones system is normally a PC supplied without a processor, RAM or a hard disk. You simply choose a barebones PC that suits your needs, fill it with the missing components, choose an operating system, and you are off. 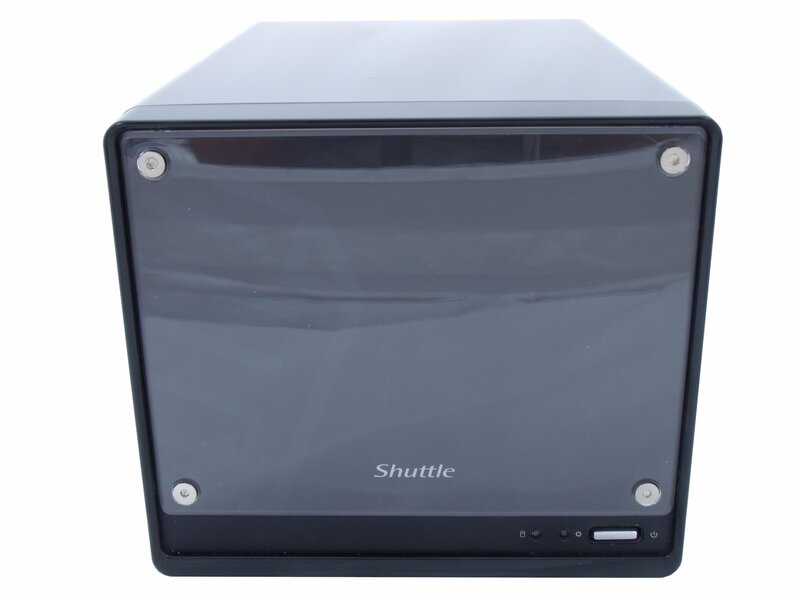 Shuttle specialize in manufacturing small and compact barebones systems. For the novice system builder, this greatly simplifies the initial problem of motherboard choice, as most people will decide on the case design they like first and take the motherboard that comes with it. 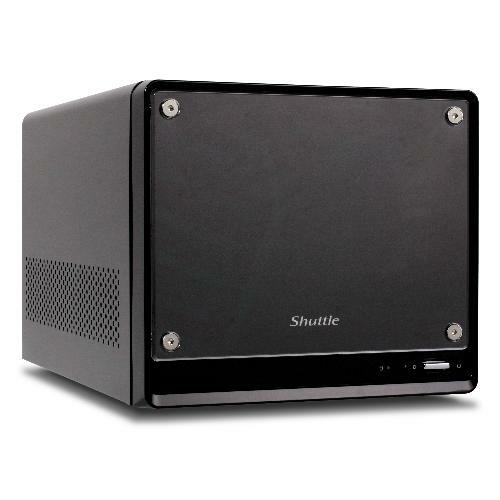 Shuttle has a history of cube-shaped mini PC systems, and the K45 is an entry level no nonsense device the size of a large shoebox and perfectly proportioned to build your own little Windows Home Server or NAS system (28 x 19 x 17 cm LWH). The little Shuttle presents a very shiny face to the world as it is finished in a deep glossy black. Further visual customization is possible by using what Shuttle call MyKover. The reality of MyKover is simply a removable acrylic front panel that you can put your own pictures behind (or some suggestions from Shuttle); a simple idea and a neat touch for the style conscious amongst us. Looking inside the case we find that the K45 has a proprietary motherboard comprising an Intel 945CG + ICH7 chipset and a socket 775 with a 533/800/1066 MHz front side bus support. This combination gives a wide choice of processors, and Shuttle helpfully publishes a supported processor list to aid your decision making. It is important to ensure that you install a supported processor for a couple of reasons, as putting anything too power hungry into this device could give the little 100 watt power supply a hard time, and anything higher than 65w TDP is going to make things pretty warm inside the case as well. 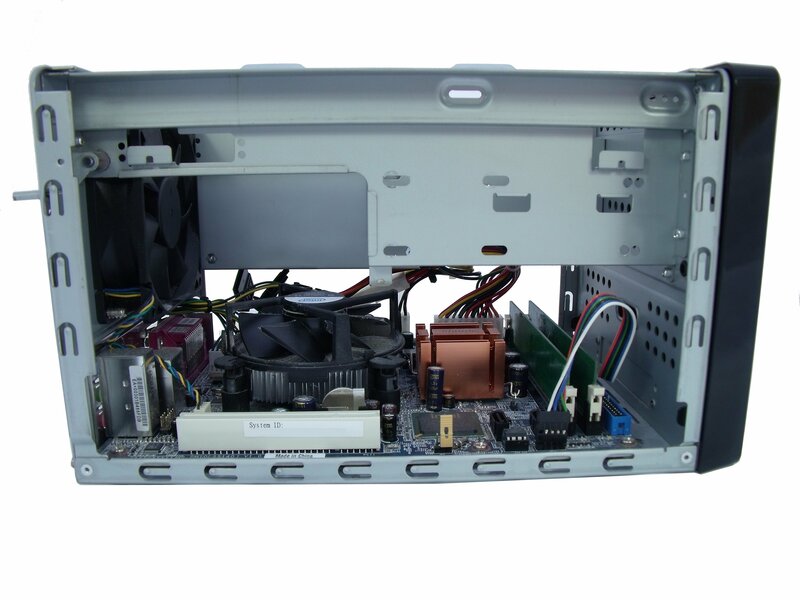 The K45 has plenty of other things integrated onto the motherboard, which is just as well as there isn’t a great deal of expansion room inside the case. These include integrated video courtesy of an Intel Graphics Media Accelerator 950, 5.1 audio and gigabit Ethernet. Also onboard is a single PCI slot, 2 memory slots with a maximum of 1gb per slot, 2 x SATA 300 sockets and a single IDE port. A full specification list is available here. 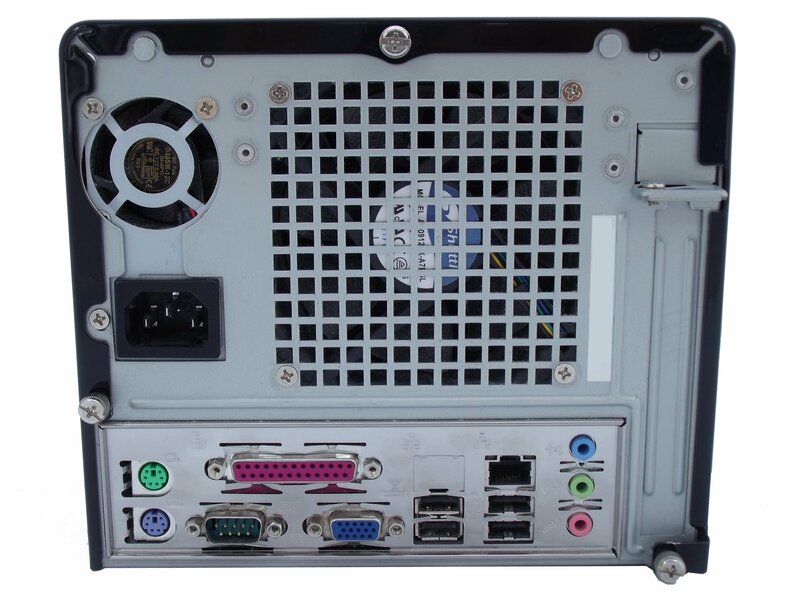 Around the back we naturally find the ports; they include: VGA Video out, 4 x USB 2.0, a single RJ45 LAN connector, PS/2 keyboard and mouse ports, a Serial COM port and a Parallel port. Inside the case things are cramped, but not enough to make installing the remaining hardware components too much of a chore unless you have the hands of King Kong. The memory simply slots in at the front, and the processor and its cooler fan are easily installed toward the back of the case. 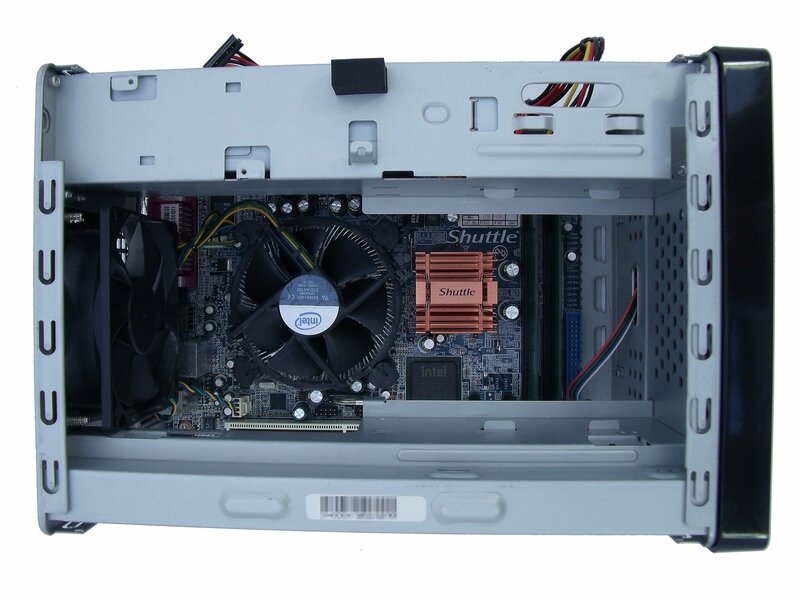 The K45 case accommodates 2 x 3.5” hard disks, which makes it perfect for a low-end Windows Home Server. You do have to remove the power supply in order to install the hard disks, but this doesn’t cause any real problems as it is only held in place by 3 easily removable screws. Once the disks are in, put the power supply back, connect up all the power, fan and hard disk connections and you are done. Clearly you need to choose an operating system, and for this review we obviously loaded Windows Home Server. But remember that the K45 isn’t specifically targeted as a server, and it will be equally at home as a desktop Windows PC or running Linux. There is no place internally for a 5.25” device, so you are not going to be able to have any optical device included with your new PC, although you are perfectly free to add an external USB connected DVD/CD device. If fact you are going to need to do this to install your chosen operating system unless you are going to copy the installation package to a USB thumb drive or hook up a temporary DVD/CD using the IDE connection. One of the main reasons for using a small device like this is power consumption, a home server by its very nature is going to be left on 24/7 so keeping it efficient is going to payback over time. For the review, we installed a pair of Western Digital Caviar Green 1tb Greenpower (WD10EACS) and and Intel E2200 processor, which gave a power consumption of around 55 watts whilst the hard disks were busy and 45 watts when things had settled down a little. Performance of these components in the Shuttle was perfectly acceptable for a Windows Home Server. Copying a 1gb file over a 100mb connection took 1 minute 40, and reading it back took around the same. Audio and video media was streamed perfectly happily from the server without any issues, and all PC backups were performed faultlessly. 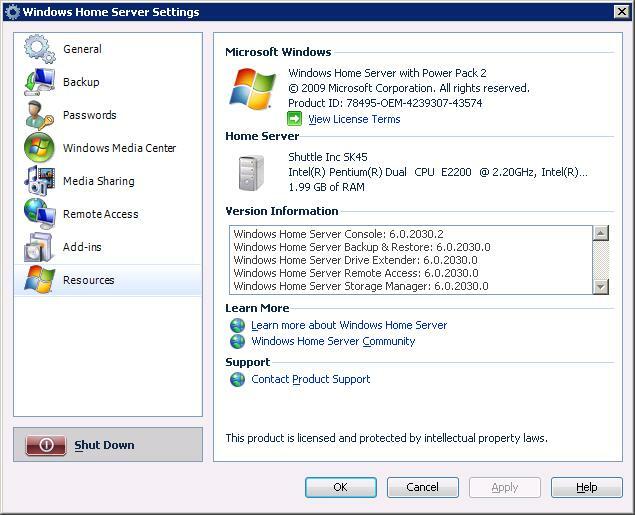 In other words, Windows Home Server was perfectly happy with this hardware configuration. Ok so you need to add a an operating system. 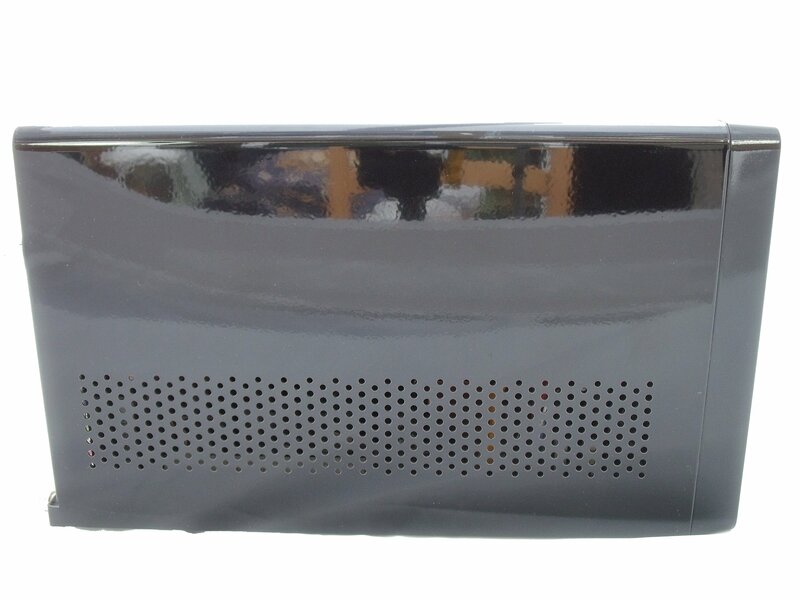 If your choice is Windows Home Server, that can be had for £70($111) which brings the total price to £338 ($540) for a ready to roll 2tb WHS home server. 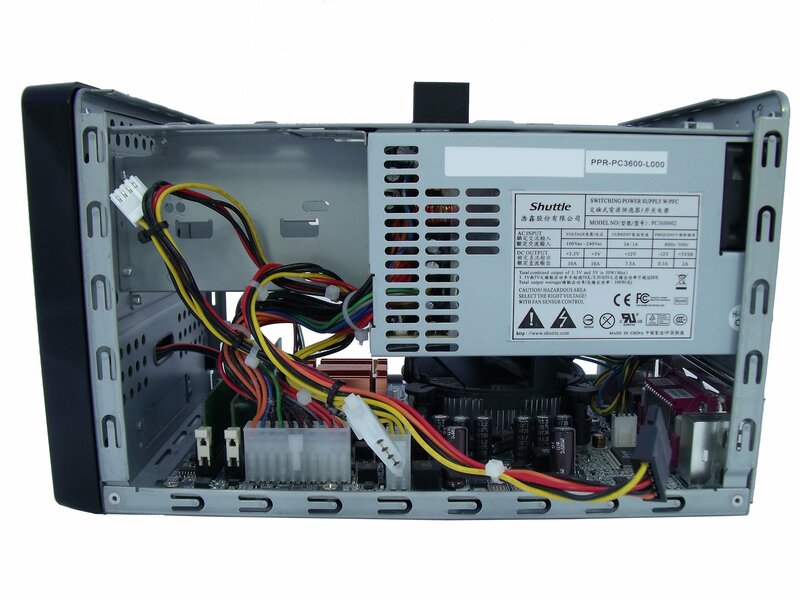 If you are willing and able to have a go at building your own server, the K45 represents quite good value for a very capable and likable little server. Great article! It is unfortunate that I can not find a Shuttle K45 or K48 anymore. I was intended to build a WHS based on this but it looks like Shuttle no longer makes this and being such a hot item, it isn’t even available at some of the bigger retailers. Is there any other suggestions for a small form factor WHS?